Ile De France is the delicheesiest! One of the coolest perks about writing this blog has to have been the fact that we received an amazing free gift of Ile De France Camembert cheese in exchange for an honest blog post. We are definitely not the type to pretend to like just anything when it comes to food, so we won’t hold back our feelings about this. I am a cheese addict…..I really cannot get enough, and I have a tremendous range of quality. I can easily enjoy processed cheese food (just ask my college roommate for stories about melted Velveeta on bagels for breakfast, lunch and dinner) just as much as the cheese plate from PerSe where they tell you that the cheese comes from Betsy the cow on a small organic milk farm in Vermont. Okay, so maybe this does not make me a cheese expert, but it does make me a true fan of the tangy, creamy food. So, knowing my cheese-tastic background, I must say that this cheese was spectacular! It honestly was more delicious than most…..it had a mild, creamy, earthy flavor. 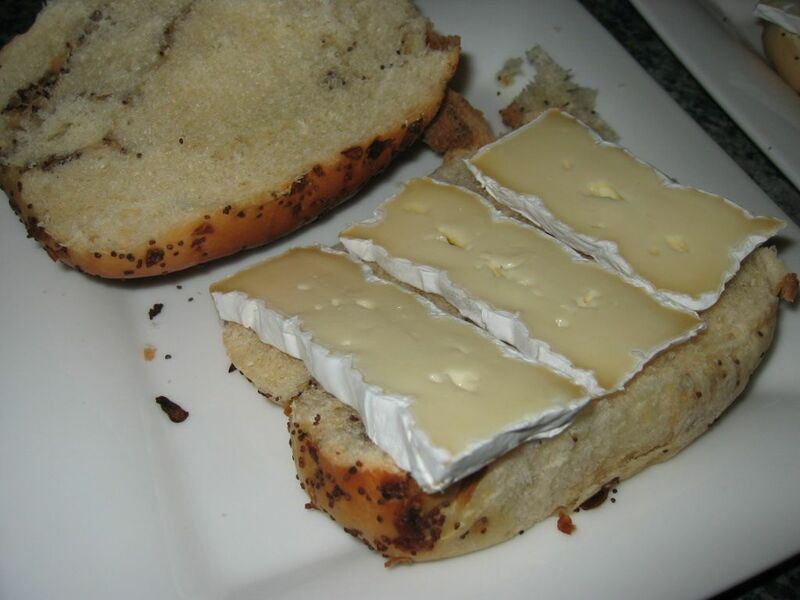 The rind was spectacular…..it added the perfect amount of contrast to the smooth center of the cheese. 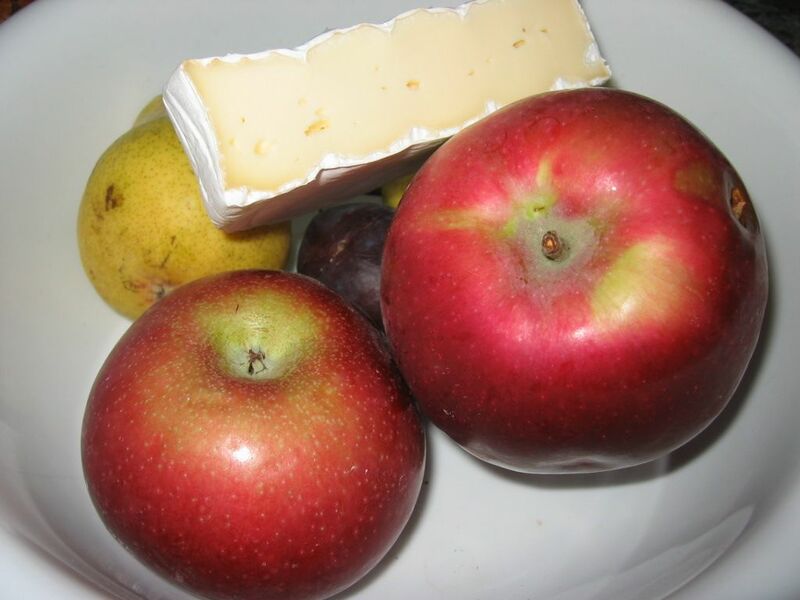 We snacked on the cheese plain to appreciate its flavor and then we ate it with slices of fresh apple and pear. It melded perfectly with the fresh fruit. 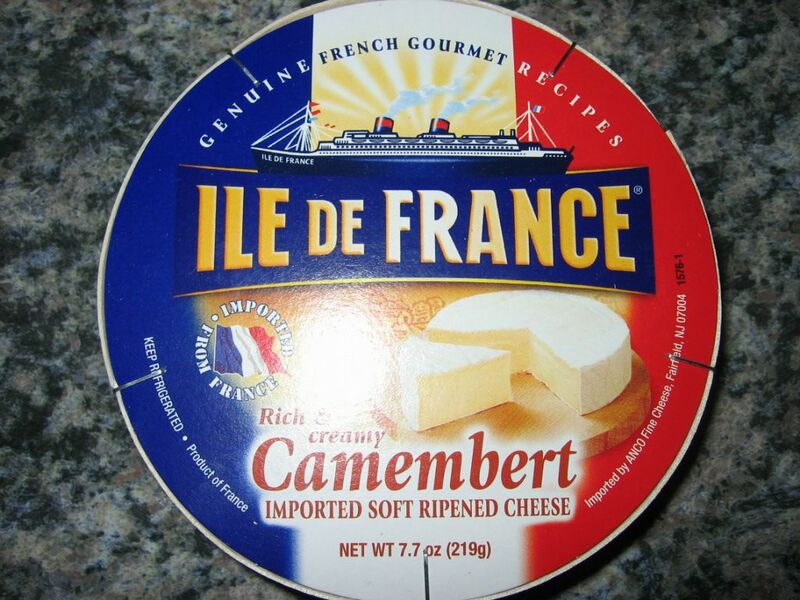 Really, Camembert is like a mild Brie, and Ile de France is a brilliant brand of cheese. Then, just because, we decided to make grilled cheese. We took apples, pears and onions and sauteed them with butter and olive oil. 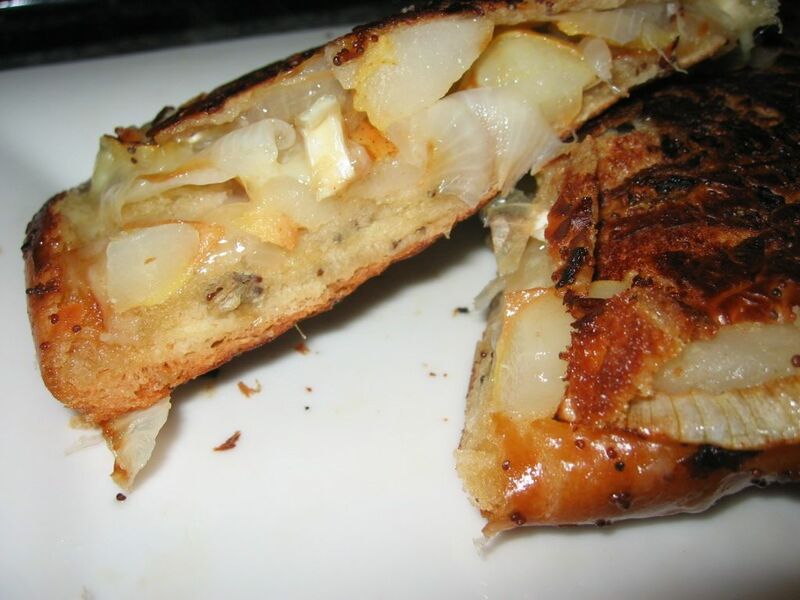 When they all caramelized to a golden brown, we layered generous slabs of the Camembert cheese on onion rolls, topped it with the fruit and onion mixture and then grilled them on a buttered pan. I suppose that we will never be able to describe the full extent of enjoyment we experienced that fine evening. The cheese melted beautifully into a buttery, creamy spread and blended with the sweet fruit and onions. Overall, we cannot rave anymore about this cheese! They have all different types that need to be bought by all of you cheeseheads out there!